Black Op Radio July 16, 2015. 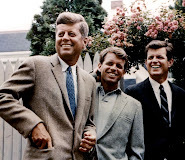 Anyone can go and see the British documentary "The Men Who Killed Kennedy" and you'll see that at one time Gary Mack, (real name is Larry Dunkel) was an advocate of a conspiracy in the death of JFK. This is in the 5 part series, later there were two or three additional episodes made in the 1990's I believe. Those episodes pointed the finger at LBJ and there was a counterattack led by the late Jack Valenti and others that made damn sure those episodes would never be aired again, and they stopped anyone from getting the shows on DVDs. Larry Dunkel was someone in TV media in the Dallas /Ft. Worth area and he was doing okay, as Jim Marrs describes. He had a nice house, and everything and then suddenly he wasn't someone in Dallas/Ft. Worth media. 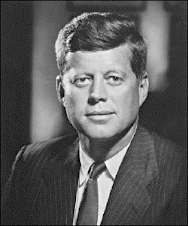 Then he is offered this job at the Sixth Floor Museum that would solve all his financial troubles, and he'd be a media person again, whenever anyone of the national or world press would come to Dallas the Dallas elite would have Gary Mack as their spokesman saying what they wanted him to say, which is that there was no conspiracy, the Warren Commission was correct, etc. "They bought him," Robert Groden explained. And Groden discovered when suing the city for his more than 80 arrests for breaking a law that did not exist, and then did, because they created it so that Groden's very presence on the knoll would mean he's breaking this law, though it was unconstitutional, requiring Groden to get a permit that did not exist in order for him to be on the knoll. The local judge threw out all of the charges against Groden every time. Finally, Groden sued The City of Dallas, and the Sixth Floor and he discovered there were over 500 emails back and forth between the City and the Sixth Floor museum. "They were high fiving each other," over Groden getting arrested. Many of the emails were written by Gary Mack. They broke the law to get Groden behind bars. There is this organization in Dallas called Downtown Dallas Inc. And its all the wrong people, all the people who are involved in the cover-up, suppressed the truth as to what happened, and when the Super Bowl was coming to Dallas they did not want anyone telling the truth about the the assassination. So, they put Groden in jail. They even dug up Elm St to get rid of the X Groden put on the pavement there to mark the spot where JFK was hit in the head. They claimed they didn't want anyone to trip over it. Gary Mack is thought to have an annual salary of at least $200,00 a year to parrot what the Dallas elite wanted told as the official and approved upon narrative of the assassination. There have been several documentaries on "The Discovery Channel," with this series called "Unsolved History," each one more dishonest than the one before it. The last one they did was "Inside the Target Car." They had a duplicate of the limo. 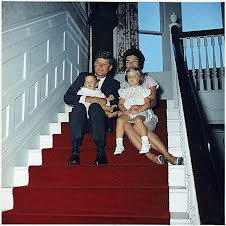 They had Jackie and JFK sitting in the wrong position. And they dismiss the idea of a shot from the grassy knoll because by putting Jackie in the wrong place they claim a grassy knoll shot would have killed her. So, since she wasn't shot there was no grassy knoll shot. That was the phony plot point behind "Inside the Target Car." Gary Mack had worked for channel 5 in Ft. Worth. Gordon says he was maneuvered into getting fired from channel 5. And he got an unbelievable severance package so that he could be available for the Sixth Floor museum. 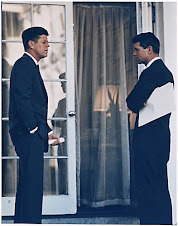 Len Osanic mentioned how much time Mack spent online attacking anyone promoting the viewpoint that there was a conspiracy in the death of JFK. Groden also wrote about Mack in his latest book "Absolute Proof."